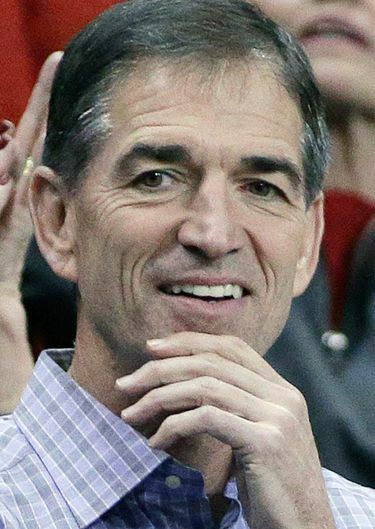 John Stockton and neighbors ordered by judge to pay fees. Basketball star John Stockton and his neighbors have been ordered by a judge to pay about $500,000 in attorney’s fees following their botched attempt to stop a development on Priest Lake. Along with his lake cabin neighbor, Todd Brinkmeyer, Stockton tried to stop a contracted sale and the construction of multiple lakefront properties on 65 acres of undeveloped wetlands on the south end of Priest Lake. Stockton, a Gonzaga University and Utah Jazz star, is a member of the Hall of Fame. In February, Idaho District Judge Barbara Buchanan found that Stockton, Brinkmeyer and the original owners of the wetlands property, the Warren family, had engaged in a conspiracy to interfere with the sale. The judge then ordered them to sell the land at a loss to the developer, Tricore Investments. The issue began in July 2015 when members of the Warren family decided to sell two parcels totaling 45 acres for $2 million and began negotiations with Tricore, which is owned by Clifford and Becky Mort. The negotiations dragged on for more than a year. When Stockton heard about the plan to develop the land, he contacted Brinkmeyer, his Priest Lake neighbor and founder and president of Plummer Forest Products, and the two formulated a plan to buy the property together to stop the development. Despite the ongoing negotiations with Tricore, the Warren family sold the land to Stockton and Brinkmeyer three days before the deal with Tricore was to close. Tricore found out about the sale near the end of September 2016, when it contacted a title company and was given a copy of the new deed. Mort’s company filed a lawsuit against the Warren family, Stockton and Brinkmeyer on Oct. 6, 2016. Following the verdict, the judge ordered Stockton and Brinkmeyer to sell the land to Tricore for $2.4 million. On Friday, Buchanan ordered the men, as well as members of the Warren family, to pay $494,000 in attorney’s fees and costs.